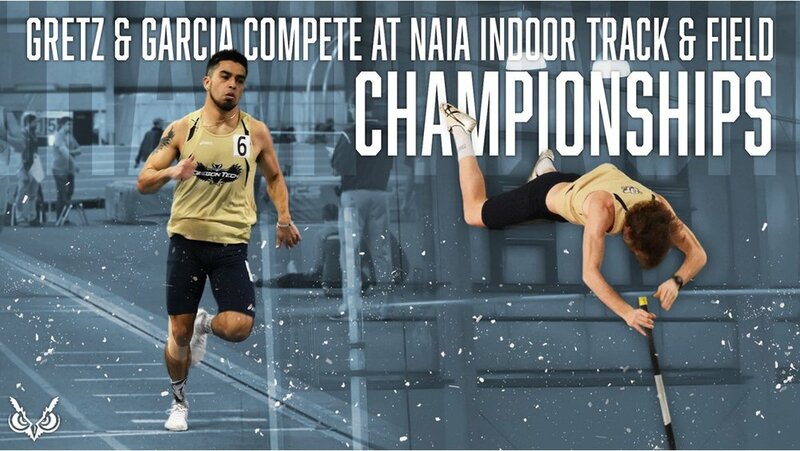 Pittsburg, Kansas – Oregon Tech's Ricky Garcia took 3rd place in the men's 800m finals on Saturday breaking the school record for the second day in a row at the 2018 NAIA Indoor Track and Field National Championships Friday at Robert W. Plaster Center on the campus of Pittsburg State University. Garcia earns his first All-American recognition with a time of 1:52.14 breaking the school record he set yesterday in his qualifying race of 1:53.39. Seth Gretz finished in 12th place Saturday in the Men's Pole Vault with a jump of 4.65m. He had leaped 4.8m yesterday in the Pole Vault as part of the 7-event Heptathlon. That jumped earned him his 4th All-American with a 3rd place overall finish in the Heptathlon. Oregon Tech as team earned 12-points and finished in 27 their highest ever finish. Press release from Oregon Tech Sports Marketing - Mike Garrard, Director of Sports Information and Marketing.